One perfect way to use vodka if you don't like to belt it down is to seep a peg into your cake. It heightens the taste of your baked goodies. 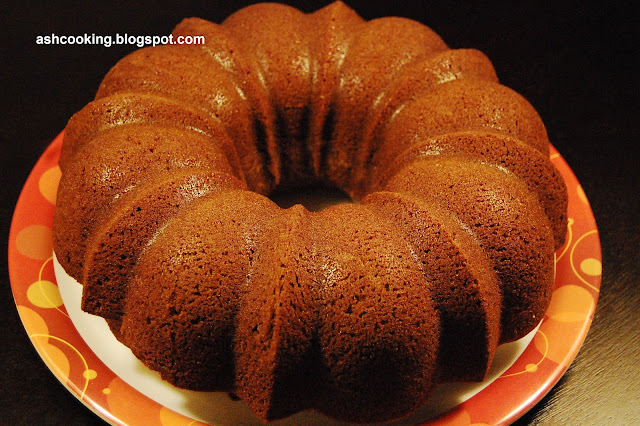 The moist texture of the cake provides pure bliss at each morsel. Since I am away from the city and hence unable to partake in the celebration of my niece's brilliant result (she has been ranked 3rd in ICSE in West Bengal. ), I planned to bake a cake dedicating to her success. This is for my dear beloved Titli! 1) In a mixing bowl, beat the wet ingredients - oil, milk, eggs, vodka and liqueur to a mixture of smooth consistency. 2) Mix in the dry ingredients - flour, baking powder, baking soda, pudding mix and sugar in a separate bowl. 3) Slowly fold the wet ingredients into the dry ingredients. Just check that no speck of flour remains visible. 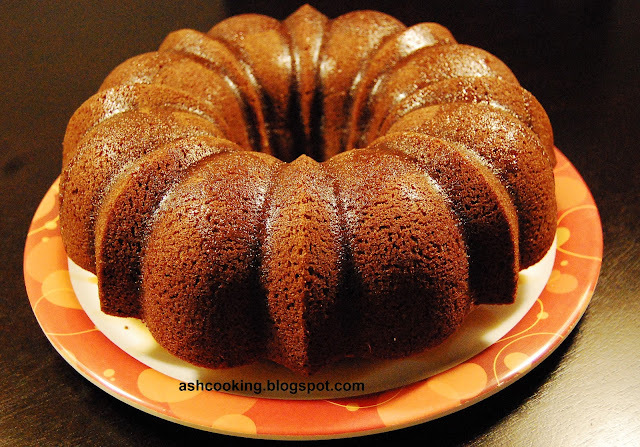 4) Pre-heat the oven to 350 F/ 180 C. Grease the bundt pan and pour the cake batter into it. Bake for an hour till a toothpick inserted at the centre comes out neat. 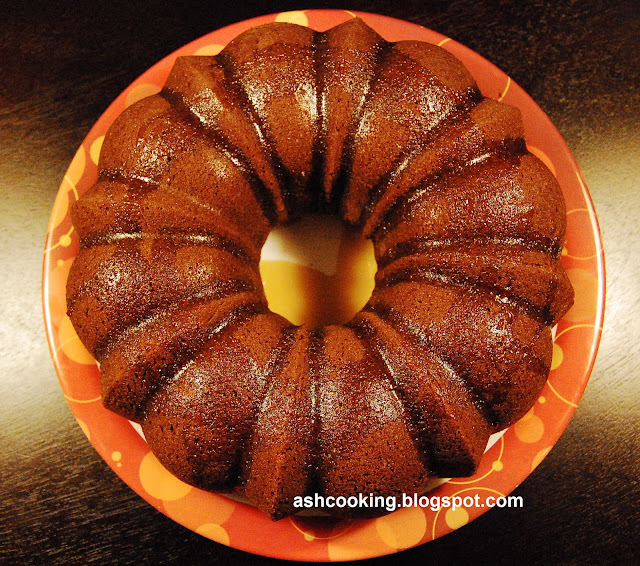 5) Let the cake cool down to room temperature before taking it loose from the bundt pan onto a plate. 6) Prepare the glazing by whisking coffee flavoured liqueur with powdered sugar. Slide that onto the bundt cake. 7) Serve at room temperature. Enjoy!